The TRS racing seat is one of our most aggressive reclining seats. 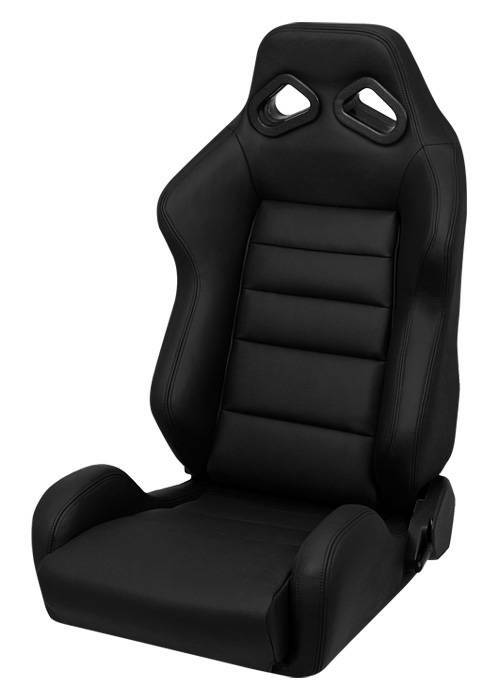 Its high thigh bolsters along with tight kidney and shoulder bolsters allow for a comfortable drive with hardly any body shifting.Whether on street, the track, or off-road, the TRS racing seat will enhance your overall driving experience. MUST be ordered in pairs (Quantity = 2) of seats. For single seat sales, please call for availability. As a rule of thumb, the TRS will fit up to a 38-inch waist, while the TRS Wide will fit up to a 42-inch waist. The TRS racing seat is available in Cloth, Microsuede, and 100% black Leather.